The Rolling Stones were joined by Florence + The Machine singer Florence Welch for a performance of their 1971 classic, “Wild Horses”, during the second of two shows at London Stadium on May 25. Welch’s band were the opening act for the latest show on the Stones’ No Filter European tour, and the rocker says she was thrilled to follow-up a 2012 appearance with the group after being a lifelong fan. 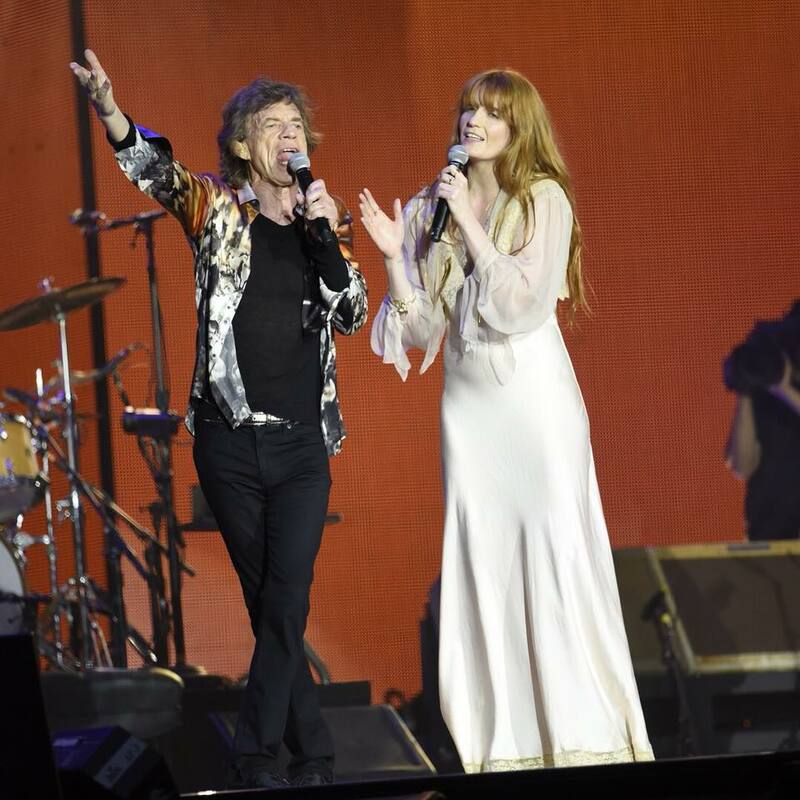 “Thank you to Florence + The Machine for an amazing set and stunning performance on Wild Horses!,” posted the Stones on social media after the show. The Rolling Stones opened their summer tour at Croke Park in Dublin, Ireland on May 17; the 14-show series marks band’s first appearances in the UK in five years; stops in Germany, France and the Czech Republic will precede the trek’s finale in Warsaw, Poland on July 8.